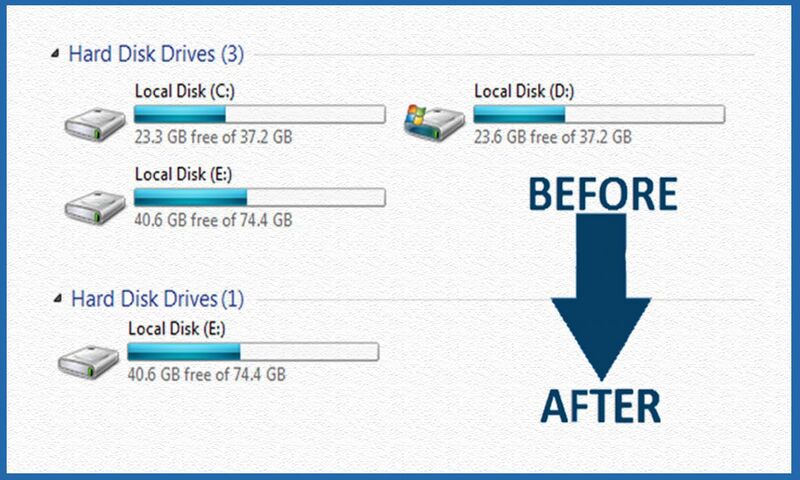 Read: How to Recover Deleted Data from Hard Drives ? Step 1: Press win+R, Type CMD in a run and hit Enter to launch Command Prompt. In Windows 10 and 8.1, you can right-click on the Start button, and then click Command Prompt to open CMD. Step 2: In the CMD, type Diskpart and hit the enter key. Click Yes if you are prompted with User Account Control dialog box. Step 3: And then type List Volume and hit enter to see a list of all drives. Step 5: To hide a drive, type Remove Letter G. Here, G is the drive letter then you want to hide. Step 6: You are done. Close the Command Prompt. How to show Hidden Drive again? To show off the drive, do the same till Step 4 & fifth step command will be assign letter G & see that you’ve assigned the drive letter “G” successfully. Dear I showup the drive with a new method can I tell you….? Simply do the same thing again and write the 5th command as .. “Assign letter…(G,F,E)” whatever u wanna unhide and press Enter. perform step 1 to 3 as same described above. it depends on what drive you have hidden. you can also note drive No. while hiding drive. your hidden drive will be show….. I got the solution. Go to computer management -> disk management ->right click on your hidden drive in below area->select change drive letter and path and finally assign name to it. It’s probably easier to just go into Disk Management to assign/unassign drive letters.